I won’t kid you with flowers and butterflies about how your period is a glorious visitor each month. Yes, it reminds you that you’re not pregnant. But sometimes, she visits us at inconvenient times, which can be really frustrating. You may also be experiencing heavy flow, which could get quite uncomfortable. This can lead to fatigue, anemia, and depression. Did you know that you can use herbs to stop your period or to slow your cycle or ease your discomfort and give you more control over your schedule? The following herbs, like chamomile for cramps, are natural remedies for menstrual cramps and heavy bleeding, thus making life a little easier, and a lot more convenient. Looking for other information? There are other ways to ease period discomfort or cramps? Consider this old wive’s tale, which might not be such a tale about using Lemon to stop your period, or maybe you want to know if it will stop in water? If you’re looking for other natural treatments, you might also read more about the benefits of aloe vera. What’s ahead? Natural treatments are often derived from herbs and other plants with real pharmacological characteristics. Most of the time, lifestyle changes can be most effective, but there are some potent herbal treatments that you should definitely consider if you are having mild symptoms. What Herbs Can Make Your Period Lighter? 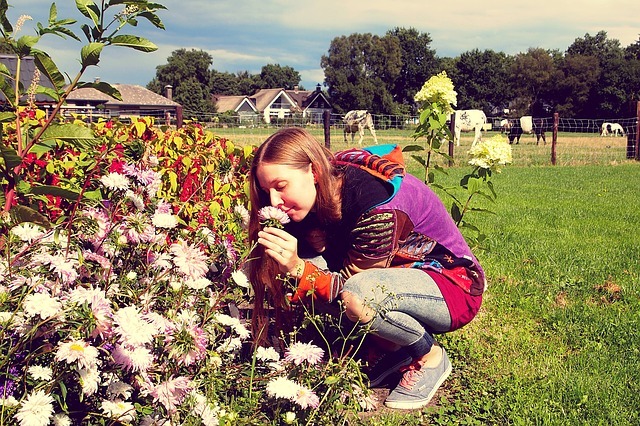 Natural treatments involve both lifestyle changes, like exercise and diet and changes in our environment, to taking herbs and other therapeutic treatments. Remember that many herbs have proven medicinal benefits; however, you should always consult with a medical professional if you believe that you have a serious or prolonged medical condition. Herbs and natural treatments have been known to treat everything from depression to offering natural treatments for ovarian cysts. So, what are some of the herbs to stop your period that you can use to stop your period for a day or decrease the flow for your entire cycle? Traditionally, the raspberry leaf has been used to relieve painful menstruation, and it can also be used as one of the best herbs to stop your period, according to the project aware website. Raspberry tea suppresses menstrual flow by constricting the body tissues, and can also be useful in reducing menstrual cramps. The typical dosage for the raspberry leaf ranges from 1.5-2.4 grams per day according to drugs.com. Also known as Dong Quai or female ginseng, this root has for long been used by the Chinese as a treatment for menstrual cramps, and to relieve menopause symptoms. The Angelica root keeps the female hormones balanced while at the same time suppressing the menstrual flow, thus it is beneficial for timing your period. If you are on blood clotting medications, please avoid this root as the two are likely to interact. It is also advisable to avoid it if pregnant as it can cause miscarriage or congenital disabilities. It is also known as Tien Chi Ginseng or Tien Qi, and it may be effective in stopping any menstrual bleeding. According to an article in the encyclopedia alternative medicine published in 2001, you can stir 1-3 grams of powdered radix Noto ginseng into your juice or soup to suppress menstrual bleeding. Order Noto Ginseng from Amazon. These two herbs are known to stop the menstrual flow, especially if in excess. Mix a teaspoon of lady’s mantle in a cup of water and allow the mixture to boil for a few minutes. Allow it to cool, and add honey if you wish to sweeten it. The herb has anti-hemorrhagic properties, and it has been the next choice when both garden sage and lady’s mantle fail to act. Boil ginger in water for a few minutes to provide relief and stop the menstrual flow, and take the infusion up to three times a day. Make a cinnamon tea by steeping one cinnamon stick in a cup of boiling water to stop heavy periods. You can also take 3 drops of tincture of cinnamon back twice a day. 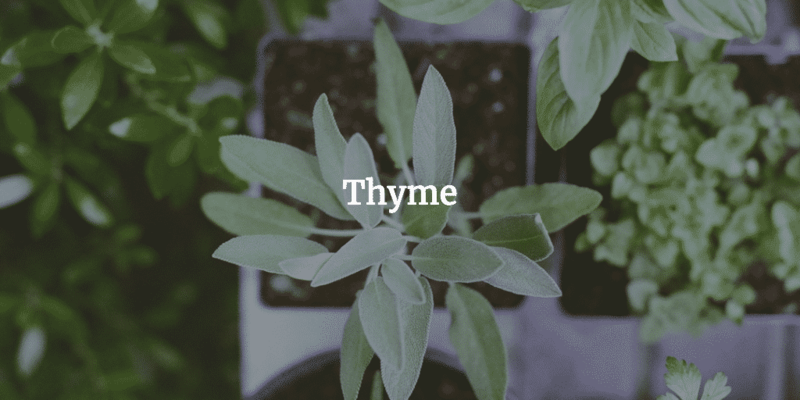 There are many medicinal benefits of Thyme including being used as an insect repellent or even as a digestive aid. With regards to your menstrual flow, seep one tablespoon of thyme leaves in a cup of boiling water for ten minutes. This is effective in arresting excessive menstrual flow. You can also use thyme tea mixed with ice cubes as a cold compress on the abdomen to stop the heavy flow. Grind 40 grams of dried mustard seeds to a fine powder, and take two grams of the powder in milk every day to arrest excessive bleeding. Eat cooked banana flower with a cup of curd to increase progesterone levels in your body and control excessive bleeding. It has been used for ages to treat dysmenorrhea, and it is a very effective natural remedy for heavy periods. Remove the peels and grind the licorice to a fine powder. Take three grams of the powder with water, three times daily for four or five days. It is very beneficial for arresting excessive bleeding during menstruation. Extract juice from the fresh and tender leaves of the sacred fig and drink it twice a day during your cycle to treat excessive menstrual bleeding. Make a decoction from bamboo leaves and nodes and take it twice daily to treat menstrual problems. It is very useful in regulating your menstrual cycle. Mix 10 ml of the liquid mango bark extract with 130 ml of water for an effective remedy for excessive bleeding during periods. Take a teaspoon of this mixture every hour. Soak 20 grams of rough chaff in 300 ml of water and take the tea up to two times daily to treat excessive bleeding. Add 10 ml of mango bark liquid extract to 130ml of water and take a teaspoon every hour to arrest excessive flow. The aforementioned remedies are some of the best herbs to stop your period, but there are other herbal remedies for heavy flow include Tenner’s cassia, hawthorn flowers, and jujube tea. It is important to consult your physician, however, before taking herbal remedies, especially if you are on other medications since some harmful interactions may occur. In case you are pregnant or suspect that you could be, it is also paramount to avoid taking any herbal preparations, as they could lead to a miscarriage or congenital disabilities. I am a serial entrepreneur living in New York. I was born in Spain and attended the International University in Barcelona. I started the Access Project to have a real conversation about living well.